Tops Knives is a company located in the Rocky Mountains, USA and they specialize in making EDC tools and blades handcrafted with the help of experienced Military and Law Enforcement operators. 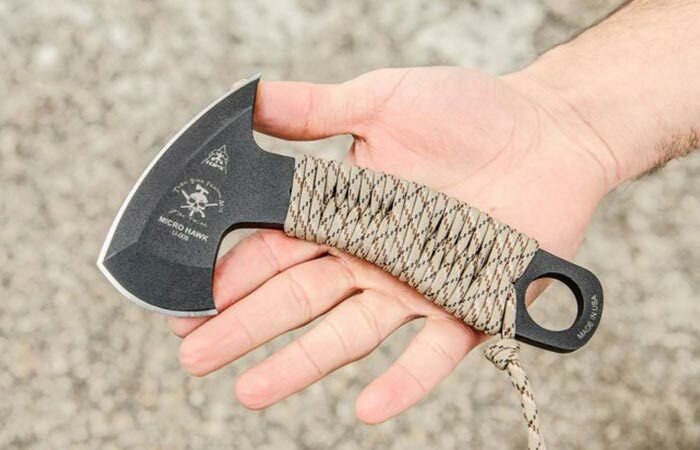 Tops Micro Hawk Tomahawk Axe is essentially a multi-tool that can be used as an axe, knife or a karambit. This everyday carry tool is designed to be a defensive weapon. 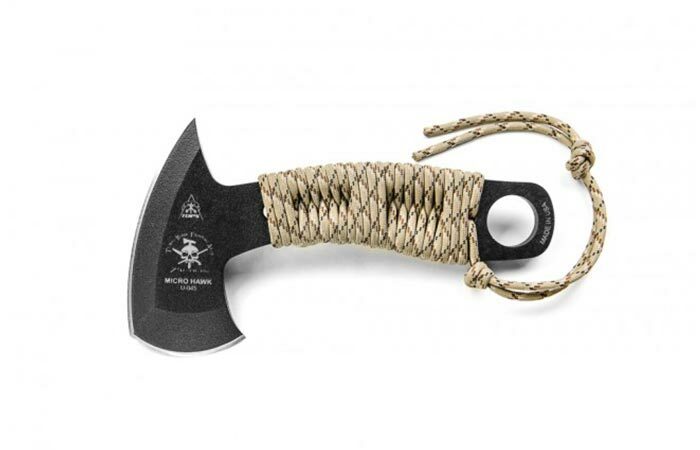 Its handle is wrapped with paracord in order to provide a firm and safe grip. If at some point you decide you need the paracord for something else, you can easily just take it off and use it separately from the axe. 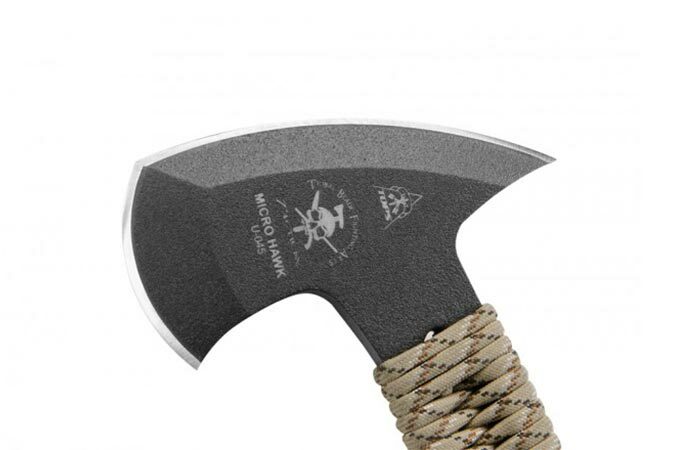 This tomahawk weighs just 11.2oz (317g) without the rope. Regarding the length, the tomahawk is 6.9 inches (17cm) long and the blade by itself is 1.95 inches (5cm) long. This Micro Hawk by Tops Knives is a multi-tool that can be used as a knife, axe and a karambit. It comes with a special black case for the blade and a paracord wrapped around the handle. The secondary blade is 3.94 inches (10cm) long and the entire blade is made of 1095 RC 56-58 steel and covered with Black Traction coating. The Black Kydex sheath is made to be very durable and strong and should last a very long time. Shawn Owens is the man behind this recognizable design. 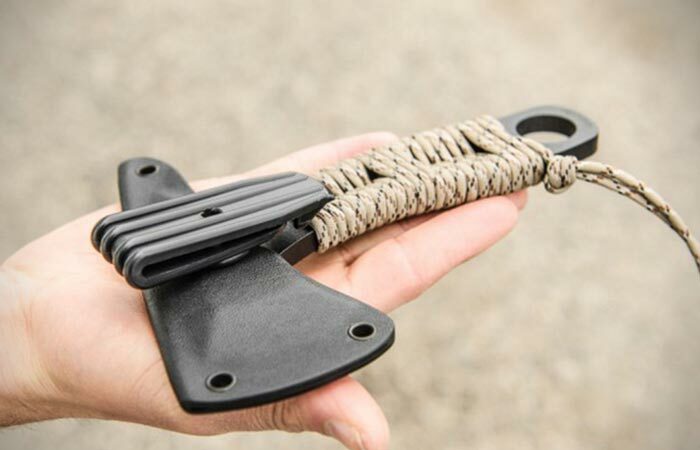 He created a very light and practical multi-tool that can easily save your life if you find yourself somewhere in the wilderness. This axe weighs just 11.2oz (317g) without the rope. The Micro Hawk is 6.9 inches (17cm) long and the blade by itself is 1.95 inches (5cm) long. 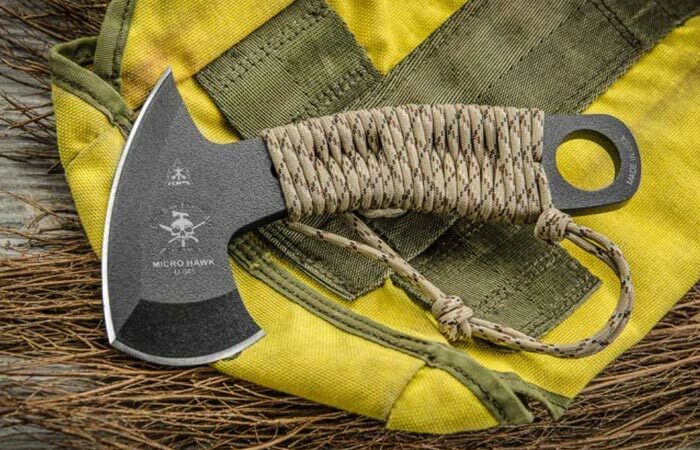 This tomahawk was designed to be an EDC defensive weapon.